Allow me to custom make antler items for your house, cabin, or lodge. See pictures of some of the items that I make. Turn around time is based on individual project and total number of pieces ordered. I ONLY USE REAL ANTLERS!!! I don’t make any items out of FAUX or FAKE antlers – there is a HUGE difference in quality – FAUX ANTLERS are simply plastic or resin and will look like that over time. My prices are some of the best in the industry because I work out of my home and personally go and pick up the majority of the antlers that I use. I don’t have all of the markups and overhead that most antler shops have. This simply means higher quality, more attention to detail, and lower prices for you. 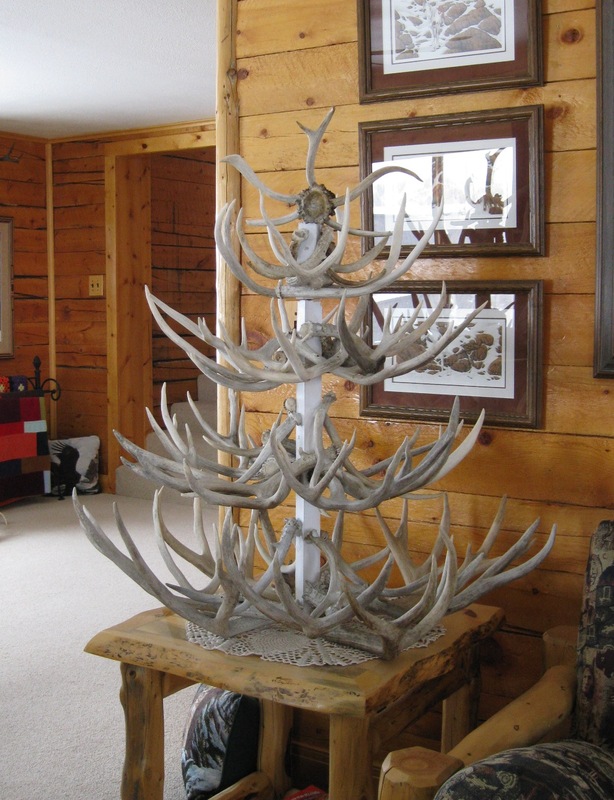 Antlers, Antlers & more Antlers! Minimum of 50% deposit required before any work is started and balance is due before item can be picked up or shipped. There are different options with all antlers as far as grade and color – Prices based on a Grade 2 antler with natural color restored. Prices subject to change. Shipping will be estimated for you before project begins – ACTUAL SHIPPING PRICES ARE CALCULATED WHEN CRATE IS BUILT AND A DIRECT FREIGHT QUOTE HAS BEEN ISSUED BY THE FREIGHT COMPANY – Shipping charges are due before any items are shipped. Email me with any questions, I look forward to hand crafting a custom item you will appreciate for decades.